Sleep apnea has historically presented problems for doctors when it comes to finding effective therapies. CPAP stands for continuous positive airway pressure. 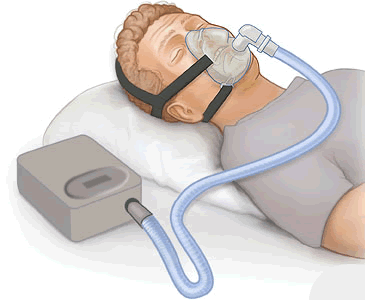 CPAP machines are the medical devices used to produce this effect and alleviate the symptoms of sleep apnea. Here are five of the best CPAP machines on the market for home use today. With any essential medical machinery that patients need to keep in their home, being small and lightweight carries a number of advantages for the customer. The XT-Auto from Apex Medical is one of the smallest CPAP machines on the market. Its dimensions (W X D X H) are 5.8” x 5” x 3.9”. This, in addition to the machine’s weight of 1.76 lbs, makes this one of the best machines out there for those who either have to travel or who just want something that’s not going to be too difficult to store. This model offers Automatic Titration, another term for auto adjusting. This means that the XT-Auto will automatically track how much pressure is needed to maintain normal respiratory function in the user. Machines without this feature require a trip to a sleep lab so that your individual requirements can be worked out and you can set your machine at home accordingly. Having a machine that can automatically adjust itself to the correct settings makes compliance (using your device every night as you should) much easier. Included in the box with the device itself is the power cord – the power supply is built into the unit, which further reduces its size, a USB cable, an SD card, a travel bag, and an instruction manual. The XT-Auto is a perfect device for those who need something highly portable. It is a small, lightweight CPAP machine. APEX Medical also produce larger versions of this device, which are specifically for home use. These home models tend to be more expensive; they are also significantly noisier when running, something noticeably absent from the XT-Auto. In fact, this is one of the few CPAP machines whose operation results in no discernible noise at all. Medical devices, while obviously essential for those who keep them in the home, rarely seem to be designed with much consideration for aesthetics. The smaller models are less intrusive in the home and occupy much less space, but they still don’t exactly look great. They look like, well, medical devices. The AirSense AutoSet 10 from Res-Med is different. This sleek looking machine could easily be mistaken for a digital radio at a first glance. An integrated humidifier will be an important selling point for some patients. If you find that other CPAP machines tend to lead to you waking up with a dry mouth and throat, then a humidifier will help to make the experience much more comfortable. The humidifier is easy to attach, simply sliding into place on the appropriate side. Opposite to this is the compartments for the air filters, and for the data card; both of these are easy to access when needed. On the back of the device is a rotating fixture, it is here that you connect your tubing. The AirSense S9 was a popular model, so you may already be familiar with this line of CPAP machines. There have been a number of changes between the 10 and the S9. While the S9 is still a great machine, the 10 surpasses it in every way. One of the most welcome new additions to the 10 is the introduction of wireless capabilities. The ability to share data wirelessly makes things much easier if you have purchased your machine through medical insurance. Insurers will have some kind of compliance procedure, essentially ensuring that the patient is using their device as instructed by their doctor. Most machines store this compliance data on an SD card, which then has to be physically removed and read. Wireless transmission saves a lot of hassle and also allows your doctor to remotely adjust your settings if necessary. This device features automatic settings, allowing the device to detect whether you are responding as you should to the current settings. If they are not working, it can automatically adjust them accordingly until it detects that apnea has been prevented. Automatic adjustments make compliance easier, and also make the experience of using the device much more comfortable. The addition of an in-built humidifier and the ability to heat the tubing make the AirSense 10 one of the most comfortable CPAP machines out there. The water chamber is much subtler than in the previous model. It also requires and holds less water. Nightly cleaning and refills are advised, but they are not too time-consuming or difficult to perform and so don’t represent much of an inconvenience. The Air Sense 10 operates very quietly and this, in addition to the physical comfort when using it, means that you’ll get one of the best night’s sleep possible. Make sure to tighten your mask and seat it properly so that it forms a proper seal. If you owned the S9, then the 10 contains enough new features and refines what was already there in such a way that it justifies the upgrade. You can also use many of the accessories, such as masks, tubing, and filters, that you used with the S9. The only exception is the heated tubing, which uses a different design and, therefore, needs to be upgraded. You also can’t use the power cable from the S9 in the 10. In the box are plenty of useful travel accessories, including a travel bag itself which has numerous compartments for storing accessories. If you are using a larger mask then you might find the bag a bit small, but for most sizes, it should be adequate. Another useful feature of the AirSense 10 is the ability to set automatic reminders to schedule maintenance and replace filters etc. The Icon Plus is simple yet elegant in its design. Its appearance won’t be to everyone’s taste, in some ways resembling a retro-style toaster, but it is relatively compact, and it offers some excellent performance. Enough to make up for its shortcomings in the aesthetics department. The Icon Plus also features a built-in humidifier, which is always a welcome addition to any CPAP machine. Even if you aren’t unlucky enough to suffer from a dry mouth and throat after using your CPAP machine, a humidifier will still make using the machine more comfortable. Adding a humidifier to a device is usually an additional expense, on top of whatever you’re paying for the machine, and whether insurers will cover it is very hit and miss. Therefore, having a built-in humidifier is always a selling point. Fisher & Paykel have added an innovative proprietary technology, which they have dubbed SensAwake. This technology enhances the automatic adjustment features of the Icon Plus, allowing it to perform more complex, algorithm-based adjustments to its settings according to the user’s response. A built-in alarm clock and timer for the machine mean that having it automatically shut on and off is easy. It will also function as a reliable alarm clock. The Icon Plus is compact in size, with dimensions of 6.3” x 6.7” x 8.7”, but it is on the heavier side. Weighing in at 4.8 lbs, this isn’t the heaviest CPAP machine out there, but for those who are looking for something that is easy to travel with, that extra weight could be a deal breaker. If the device is going to remain more or less stationary, or only be moved across a room, then that extra weight might be welcome as it makes tipping the machine less likely. Sometimes, CPAP machines can feel needlessly complicated to operate, the Icon Plus bucks this trend and provides a simple, straightforward, and intuitive user experience. However, should you have any trouble operating the device, the included user manual offers comprehensive and easy to follow instructions on all aspects of using the device. In addition to the built-in humidifier, user comfort is further enhanced by the addition of a ThermoSmart heated hose. If you have experienced trouble staying asleep while using other CPAP machines, then the Icon One is worth trying. The silent operation, advanced automatic adjustment capabilities, and comfort features such as the humidifier and heated hose, make it easy to sleep through the night uninterrupted. Users who are frequent travelers will need to consider whether the weight of this machine is too much or not, as it is on the heavier side for its size. Additionally, the 420 ml water chamber is on the larger side yet seems to empty relatively quickly. For some users, this will be preferred, but for travelers, this could present something of a logistical problem, depending on where and how you are traveling. The DreamStation is one of the sleeker and better-designed units on the market. It’s all white body is accentuated by a small square LCD screen in the front, the machine is small and minimalist, yet it also appears futuristic in its design. In short, this is definitely one of the better-looking CPAP machines out there and it isn’t all style and no substance either. The DreamStation brings a number of advanced features to the table, as it is one of the few CPAP machines that includes Bluetooth connectivity capabilities. In addition to its remarkably good design, the DreamStation also comes with a number of welcome features. Some of these are the kind of advanced features that CPAP users are coming to expect as standard; others are a little more innovative and original. For example, the machine’s display can output data from previous sessions, saving the user the trouble of removing the data card and reading it manually. It can also connect to the DreamMapper smartphone app and transmit data wirelessly over Bluetooth. The machine’s small size and weight make it one of the smaller and lighter models on the market. It is not marketed specifically as a travel device, but it can comfortably be transported and is easy to set up. The front-mounted display is full color, something which instantly sets the DreamStation apart from similar devices. Next to the screen is a large dial to help you navigate the menus. While large, the dial is snow white, as is the rest of the device. It, therefore, is somewhat camouflaged and doesn’t detract from the aesthetics. Another welcome feature on the DreamSense is an ambient light sensor on the top of the device. This novel addition means that the display can adjust its brightness automatically and if you wake up during the night, you will find that the display is dimmed so as not to disturb your sleep. Air filters are loaded into the machine simply by sliding them in. The ease with which they can be slotted in and out makes changing the filters a breeze, this helps to encourage users to change the filters more regularly than they might otherwise. The auto-adjustment settings on the DreamSense are amongst the best out there. With some machines, the auto adjustment simply switches between a small selection of presets. The machine defaults to the lower end of the auto-adjust range, raising the pressure only if it detects that the lowest setting isn’t working. The machine also features a unique Opti-Start feature. This begins each session at 90% of the pressure of the previous session. By doing this at the beginning of therapy, the machine is able to address the residual events that sometimes occur when therapy has just begun. Perhaps the biggest complaint about that DreamSense is that it doesn’t feature an in-built humidifier or heated tube. Both of these would be welcome additions that would greatly enhance the comfort of the user when using the DreamSense. The DreamStation Heated Humidifier is available for purchase separately. It uses Dry Box technology to prevent any water from entering the machine from the humidifier. This feature is the only one notably absent from the DreamSense, but its inclusion could potentially have required a bulkier and heavier unit. If you have trouble using other CPAP machines and find that they lead to a dry mouth and throat, then you might prefer a machine with a built-in humidifier, but you will have to purchase one separately for the DreamSense. However, the DreamStation Heated Humidifier is an excellent product and, when the two are put together, you have one of the most comfortable to use CPAP machines out there. If you don’t require a humidifier then the DreamSense is an excellent choice, one of the best out there, in fact. The size and weight reductions that can be afforded by foregoing the humidifier lead to a smaller, sleeker device, which requires less space in the home and is more portable. The AirCurve 10S is another excellent CPAP machine from ResMed. As users have come to expect from ResMed, this is a device which looks great, and not just great for a medical device - the sleek all white body looks like it could easily be a digital alarm clock or radio. An auto-adjusting machine, the AirCurve 10 incorporates the technological innovations that have set the other ResMed models apart from the competition. The AirCurve analyzes every breath as the user sleeps and adjusts its settings accordingly. It is one of the most responsive and most effective automatically adjusting machines on the market today. These precision adjustment capabilities are complemented by the inclusion of a built-in humidifier and a heated hose. ResMed devices have always put user comfort at the forefront of their design and the AirCurve is no exception. The CLD display on the front of the device is capable of displaying any of the information that the user could possibly want to know about their previous sessions. The display is full color and easy to read, the menus are crystal clear, easy to read, and intuitive to navigate. Control is achieved through an easy grip dial. The AirCurve makes use of another feature seen in other ResMed models, but rarely seen in other manufacturers offering, and this is an ambient light sensor. The sensor sits on the top of the device and is integrated subtly. It detects ambient light levels and adjusts the brightness of the LCD display accordingly. This means that the screen is dimmed during the night and, therefore, doesn’t disturb the user’s sleep. There are many different CPAP machines on the market today, each with their own advantage﻿﻿s﻿﻿ and drawbacks. When considering the different machines, the key consideration is going to be how much portability you demand. Those who need a machine that is easy to travel with might prefer to forego comfort features such as built-in humidifiers, in favor of a lighter and smaller machine. Most machines now are capable of automatically adjusting themselves, but some offer more advanced adjustment features than others. Those with the most advanced auto adjustment capabilities are capable of adjusting the settings based on each individual inhale and exhale.